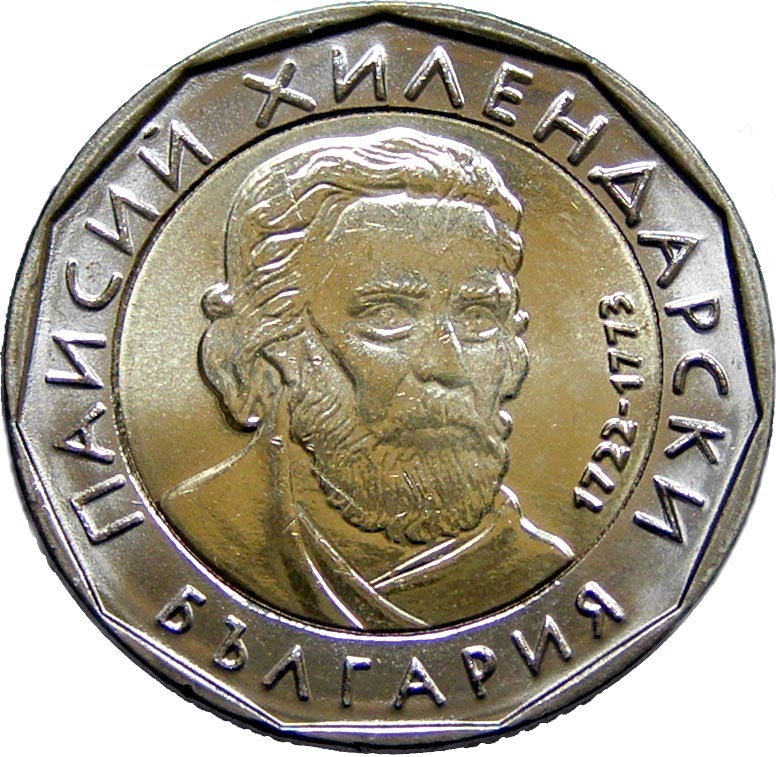 Stylized image of Paisius of Hilendar with the years "1722-1773" in the centre, inscription "ПАИСИЙ ХИЛЕНДАРСКИ" (Paisius of Hilendar) and "БЪЛГАРИЯ" (Bulgaria) on the outer ring. 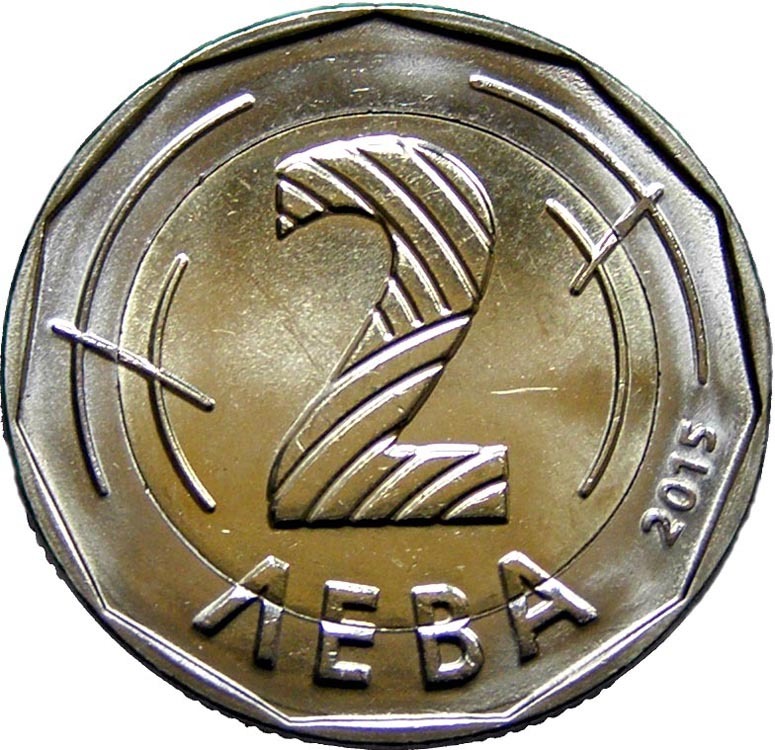 In the centre, the nominal value, indicated by the figure "2" with a pattern of furrowing lines. 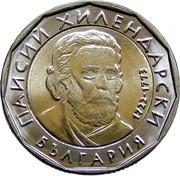 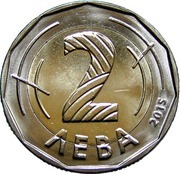 On the outer ring, partially on the center of the coin, the word "ЛЕВA" (leva) at the bottom, the year of issue to the right, crossing lines on the upper parts.